We cater for families, couples and singles and operate a "quiet establishment". Clubbers are advised to seek alternative accommodation. we have two family rooms are available and do not permit all female or all male groups in these rooms. The primary family room has a King size bed, and a double sofa bed wide. The second room is a double room with space to add a single fold out bed wide. Cots and high chairs are available. Ground rooms are available for those guests with less mobility. Avonpark House is strictly non smoking. We do not accept pets. There is space available, for cyclists to store their bicycles. We have a large, secluded garden for the enjoyment of guests. The elevated decking overlooking the Koi pond, can provide shady or "sun-trap" garden seating during your visit. 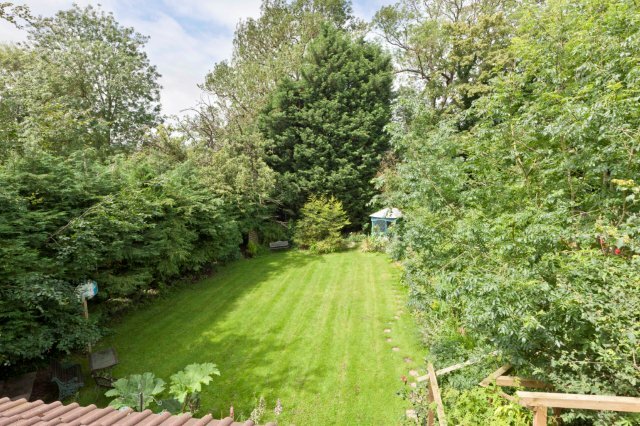 Two rooms have their own private access to the garden, and open directly onto the decking area.